World Premiere: Jake Najor knows the "High Costa Living"
(March 22, 2019) Okay, when the debate ensues about which region of our nation funks the hardest, the two regions that rep the hardest are The Big Apple and the Buckeye State. New York City and Ohio have the receipts to lay claim to the funk capital of the world. The New York City versus Ohio debate can almost drown out the legitimate claims coming from other funky locales such as Detroit, Chicago, Atlanta and Texas, just to name a few. And then there is California, the state that contributed Sly and the Family Stone and Tower of Power and Tony, Toni, Tone – and that’s just northern California. Drummer and all around funk master Jake Najor wants you to know that they funk pretty hard in So-Cal. Artists from coast to coast, such as Oakland funkateer Raphael Saddiq, Karl Denson, as well as hip-hop legends like Big Daddy Kane and De La Soul have tapped the San Diego native to put his brand of stank of their records. 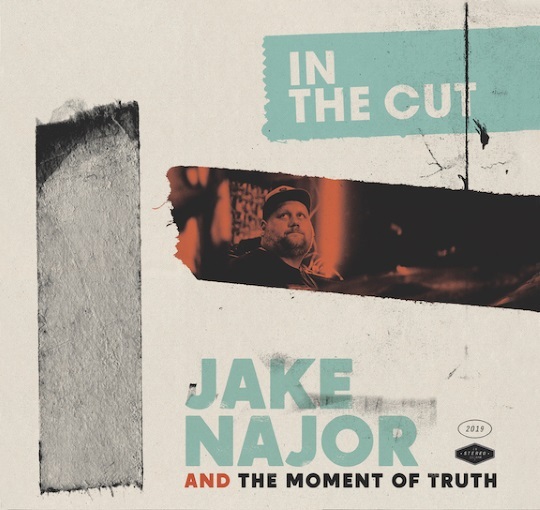 Najor put together a band called Jake Najor and the Moment of Truth that is comprised of a number of hard driving, funky west coast players on an album titled In the Cut that will drop at the end of March. We present to SoulTrackers a World Premiere of the lead single “High Costa Living,” a hard charging number featuring Najor’s energized drumming and the vocals of another west coast legend, Mixmaster Wolf. Wolf endows this anthem about the realness of the struggle with vocals that James Brown styled cadences with the intensity of the blues shouters of yore. Check out “High Costa Living” here.